A Boy And Doctor Happy To Have Healthy Food. Kid Learning About Nutrition With Doctor To Choose Eating Fresh Fruits And Vegetables. Lizenzfreie Fotos, Bilder Und Stock Fotografie. Image 116540157. Standard-Bild - A boy and doctor happy to have healthy food. Kid learning about nutrition with doctor to choose eating fresh fruits and vegetables. A boy and doctor happy to have healthy food. 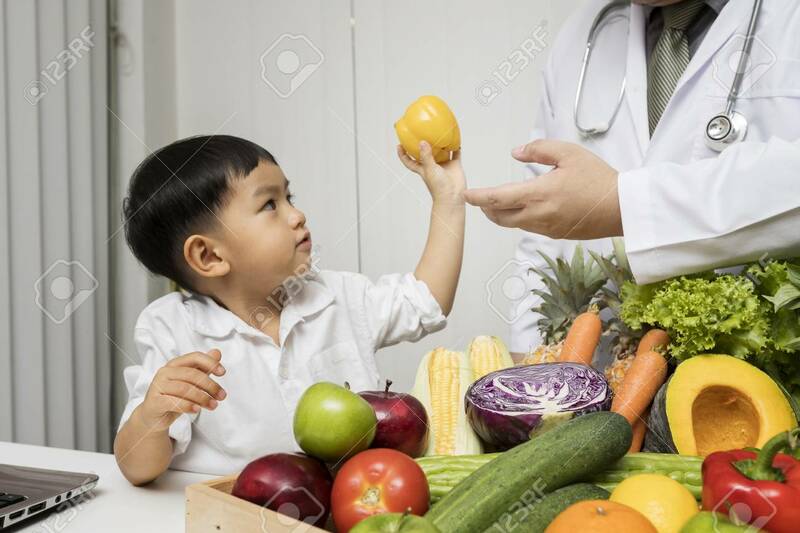 Kid learning about nutrition with doctor to choose eating fresh fruits and vegetables.